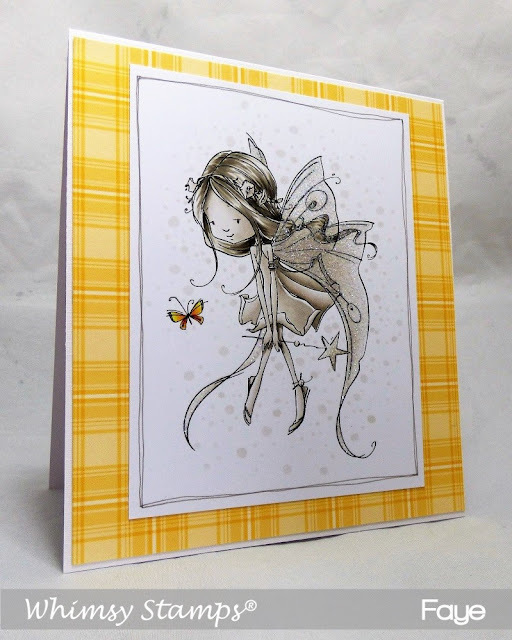 I have another card to share, using a new stamp from the latest Whimsy Stamps Release. This is Hello friend. Isn't she lovely? I was having a bit of a Monotone Colouring crush when I worked on this release. Can you tell? 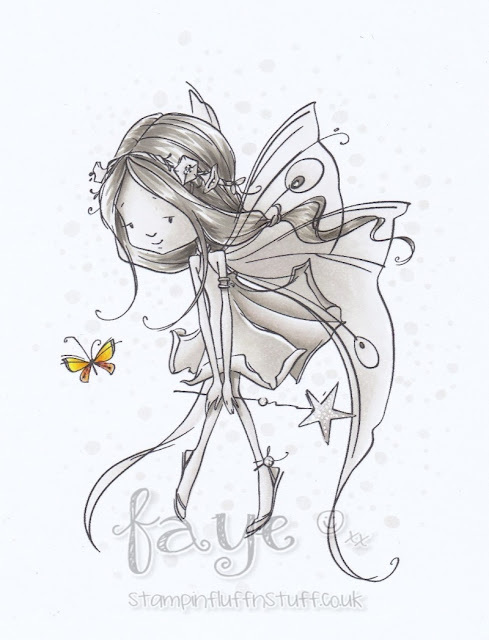 This time, I decided to play with the Warm Greys and I gave a pop of colour on the butterfly to make it a little different. I know. Rock 'n' Roll Baby! UK Peeps, you will be able to get this release later in the month from Dies to Die For.